In the past few years, facial hair has morphed from money-saving ruse (it’s no coincidence that the rise of the beard ran parallel with the global economic recession) into the ultimate style accessory – and one that’s not just an adjunct to your overall look but an expression of the inner you, too. Cheap, versatile and adaptable, facial hair can change the shape of a man’s face. and completely alter how he looks in jeans and a T-shirt or a suit. A few whiskers here and there can make a baby face look older, draw attention away from a thinning thatch and hide a multitude of sins (or chins). In short, it allows a man to be the ultimate chameleon. The only question a man has to ask about facial hair these days is which style to have. Whether you’re a facial hair aficionado who fancies a change of style or are currently clean-shaven and need a beard-growing battle plan, here are the best beard styles to suit both your face and your personality. Also commonly known as the Scruff, stubble is a style anyone can wear. It doesn’t matter if your beard is patchy or if it comes in extremely thick. What it does is give you a bit of texture and a bit of grit. You’ll get this style by letting your beard grow out for one to three days and then deciding if you want to shave it all off or use a trimmer to keep it short. If you want to get a more “Wall Street” look with your stubble, then you’ll need to trim your cheek lines and necklines. For a scruffier look, just let those areas grow more naturally. But you’ll always find scruff/stubble listed under short beard styles. It’s a polarising style that has been called everything from the hot new thing to the facial hair equivalent of a mullet, but when done right, it oozes masculinity. Growing a full beard is a rite of passage up there with learning to drive, drinking your first pint (not at the same time, mind you) and buying your first ‘grown-up’ watch. But like skiing, losing weight or shooting hoops, it’s one of those things that’s decidedly harder than it looks. The fuller the beard, the more maintenance it requires and the more problems you’re likely to encounter. 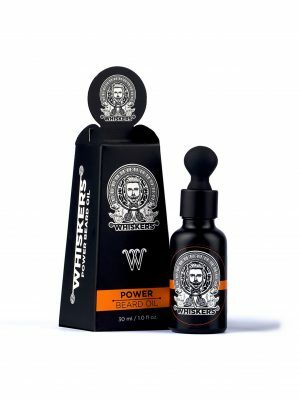 Like beard styles, there are endless beard products but the key is to choose the right one and Whiskers for men is the best in the business right now. 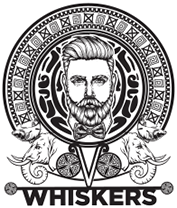 The regular use of Whiskers beard products makes your beard soft and manageable. With great beard comes great responsibility and responsible men are using Whiskers these days. So make sure you take good care of that “thing” hanging down your face because real men grow and take care of their own scarf.